The annual Dutch Impact showcase returns to Reeperbahn bringing you the best artists from the Lowlands. The event will take place at Molotow on Thursday 20th September and will see performances from Altin Gun, Baby Galaxy, DeWolff, EUT, Joep Beving, Pieter de Graaf, Pip Blom, Rosemary & Garlic and The Homesick with other acts confirmed to play at the festival being Bazzookas, Jett Rebel, The Mauskovic Dance Band and Inge van Calkar. This years line up will serve up a wide range of musical styles and genres from Turkish folk, psychedelic rock, indie-pop and neo-classical, showcasing the wide range of talent that is constantly emerging from the Netherlands. On their debut album ‘On’ (Bongo Joe Records), Altin Gun show what happens when you open doors between Turkish folk songs and a dirty blend of funk rhythms, wah-wah guitars and analogue organs . The Amsterdammers who come from various backgrounds (Turkish but also Indonesian and Dutch) comfortably create their work in the adventurous no-man’s land that exists between these two worlds. Manço, Bağcan and Koray have all influenced Altin Gün, but their foremost inspiration is Neşet Ertaş, a Turkish folk musician whose musical legacy is invaluable. You can compare him with the likes of Bob Dylan or George Gershwin to get the picture. The band performed over 100 shows in more than 10 countries this year and are ready to rock the world with a new album in 2019! Baby Galaxy are three friends from Maastricht (NL) who play wrangled and loud pop music. The band started when Nick Jongen (guitar/vocals), Robbert Verwijlen (bass) and Kees Berkers (drums) became neighbors and started jamming at their home in early 2015. A number of improvised rehearsal spaces and a musical repertoire followed shortly after. Intense drumming, bended guitars, harmonic bass and poppy vocals create an energetic, unique blend of indie rock. The nostalgic ghosts of 80’s noise rock and 90’s alternative rock can be heard shimmering through, yet Baby Galaxy succeed to create a unique, modern sound. Lyrically, the band mostly deals with personal issues in a creative and slightly absurd way. It’s a universal energy that comes from the beating heart of the 8-man-strong band. Based on a classic ska punk rhythm and happy rock-steady melodies, the band unleashes a stage energy that enriches really any festival. They roll up with brass instruments, bells and whistles in their big yellow American school bus, unpack, open up and go! In the recent years they already left their marks throughout Europe, playing festivals like Pohoda (SK), Colors of Ostrava (CZ) and Sziget (HU). On top of the release of the double album ‘skaradio.nl‘ and ‘ska.world’ in 2017, Bazzookas host their own eponymous radio station ‘skaradio.nl’ and released the ‘ska.radio’ app to make sure it’s impossible to miss any second of the infectious energy and catchy flow the band lives and breathes. At Reeperbahn Festival the Bazookas have been regular guests and they have always turned their discarded bus into a melting club. Satisfaction is guaranteed! Dutch psychedelic southern rockers DEWOLFF are winning ground quickly with memorable shows at e.g. Pinkpop, Lowlands, Sziget, Open Flair, Rockpalast, Rock Oz’Arenes, Transmusicales and Montreux Jazz. They released “THRUST” – their debut album at Mascot Records – last May and have a massive European clubtour (58 shows) lined up starting right after Reeperbahn. Robert Plant, Roger Glover and Seasick Steve already turned into diehard fans, and how can they be wrong? So, you better come and check these amazing stage animals out before they hit it too big! Bursting onto the scene with bold attitude, EUT brings a dose of energy to 1990s inspired tunes, drawing on influences from bands such as the Pixies, Yeah Yeah Yeahs, Blur, Weezer, Hole, Wilco and Beck. Fronted by the charismatic bundle of energy Megan de Klerk, the band crafts beautifully written songs with captivating melodies – all hooky, catchy pop tunes about youthfulness and growing up. EUT is dynamic and intriguing at once, without sounding too polished. The last 4 years in Holland, pop music took a turn and Jett Rebel was driving. You just could not ignore him. He’s extravagant, pure of heart and does everything for the Music. Until it strikes him down. Sometimes literally… All Dutch media love to compare him with the biggest names in the history of pop music, but Jett Rebel is mainly being Jett Rebel, always trying to realize his personal ambitions. He wants to rock, rock and rock some more. An average Jett Rebel show lasts 3 hours, without ever losing focus nor energy. Like a passionate superhero he flies around on stage, coordinating every show with his charming enthusiasm, setting the band, as well as the crowd, on fire. Jett Rebel gives all he has got. To you. At a Jett Rebel concert he is there for you, and not the other way around. The last 4 years he played over 200 festivals sold out 4 club tours. If he’s not on stage, he’s in his studio recording albums. All instruments on his albums are played and recorded by himself, and (of course) he wrote all the songs. In a time where there’s more demand for singles, Jett Rebel is an album-artist. They’re all stories with a beginning, a middle and an end. Every album has its own unique sound, because Jett Rebel constantly wants to reinvent himself. Feel free to hop on board of this high speed train! Dutch composer/pianist Joep Beving (42) was catapulted into stardom when his self released debut album Solipsism, initially made for family and friends, was picked up by Spotify and brought to millions of ears around the world. Where it was never really his intention to become a performing artist, he now is traveling the world and has played in sold out venues from the USA to Australia. Joep’s music borrows from the classical vocabulary but seems to appeal to a broader audience, racking up over 200 million streams to date on the spotify platform alone. Following the success of his debut album, Joep signed to Deutsche Grammophon after their A&R person, responsible for new recordings, heard his vinyl in a bar in Berlin. He released his sophomore album Prehension together with them. While Joep is working on his third album to complete his trilogy, a side project was launched in collaboration with DG, to have some of Joep’s compositions reinterpreted by other artists. This album, called ‘Conatus’, is scheduled to be released in September. After finishing his studies in public policy and administration, Joep spent a decade working in advertising before returning to his beloved piano. It can take a while for an artist to find their true calling. For Pieter de Graaf, he’s been searching since he sat next to his father, aged five, and watched him play the classics and the classical; the Beatles, the Stones, Chopin, Bach. As a teenager, Pieter de Graaf immersed himself in the world of jazz, dedicating hours to practice, and studying at the Conservatory of Rotterdam. For his new project, Pieter de Graaf went back to basics, resulting in the impressive debut album ‘Fermata’ and the birth of a new talent in the neo-classical world.His influences – Miles Davis, Nils Frahm, Rachmaninov, Bach, Chopin, Herbie Hancock, and above all Keith Jarrett – allowed him to combine easy melodies with more virtuoso passages without losing the meaning, or the essence, of each song. Surrender yourself to them and sink into their warm embrace; beauty is de Graaf’s true calling, and it’s a wonderful thing to experience. 22-year-old Amsterdam based Pip Blom started writing, recording and releasing her own indie-pop tunes with a twist in 2016. Hours is still a live favourite from those early days. 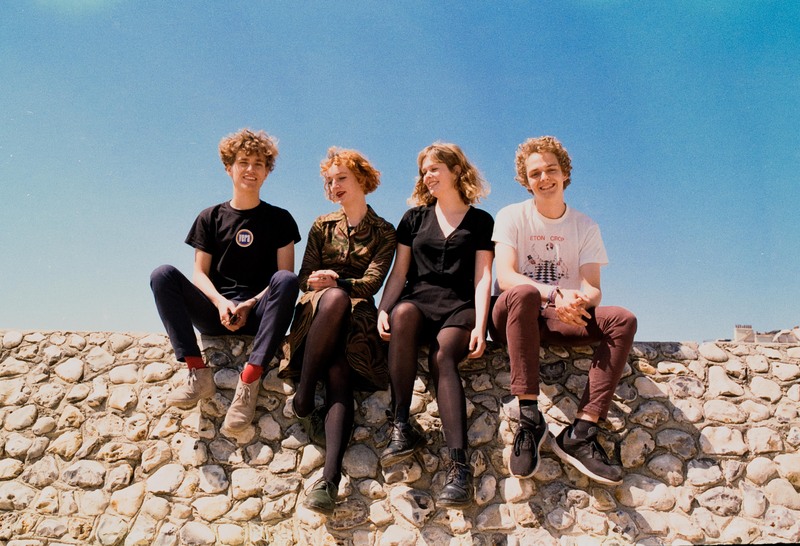 Nowadays, Pip Blom is a band with besides herself on vocals and guitar, brother Tender Blom on backing vocals and guitar, Casper van der Lans on bass and Gini Cameron on drums. They’ve played more than a hundred times in their short period of existence in the whole of Europe. They played small pubs and big festivals like Eurosonic Noorderslag and The Great Escape and were asked by Surfer Blood, Franz Ferdinand and The Breeders to join them on their various European tours. 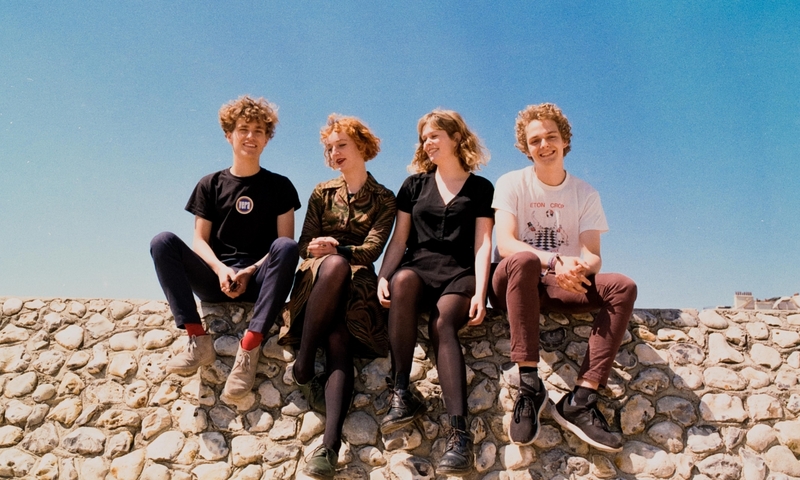 Pip’s music did receive raving reviews from blogs and magazines (Noisey: “Pip Blom is ready to join the ranks of 2018’s rising guitar acts”) and UK radio loves her a lot. For example, she received acclaim from the likes of BBC Radio 1’s Huw Stephens, BBC 6Music’s Marc Riley (“Perfect pop”) and Gideon Coe (“Excellent stuff”). Both I Think I’m in Love and Pussycat made it to the A-list of BBC 6-music. You might have heard Rosemary & Garlic while listening to your favourite Spotify playlists, like The Most Beautiful Songs in the World or Your Favourite Coffee House. The popularity of the DIY indie folk band has been rapidly growing since the release of The Kingfisher EP in 2015. Rosemary & Garlic have gained worldwide attention with their beautiful and poetic songs, each of them filled with a great sense of beauty, nature and image. With each band member of varying heritage, the group draws inspiration from diverse genres: primarily Afro-Combian styles such as champed, palenque, cambia and the pico sound system culture, as well as the Afro-Discoband No-Wave scenes in their current base of Amsterdam. The city’s hotbed of underground producers has also brought an electronic to the band, with vintage drum machines and synthesisers effortlessly melding with Afro-Latin rhythms and slice guitar riffs to create a contemporary sound rich with cultural influence. Having toured extensively through Europe in 2017 as a staple of festivals and clubs, The Mauskovic Dance Band continues to build exciting momentum – with appearances at Eurosonic Noorderslag 2018 and extensive tour of the Netherlands coinciding with the launch of the EP.